Have you been tasked with putting together a networking event and don’t know where to start? We have you covered! In this article, we’ll show you five ways to plan a smooth function that everyone will enjoy. Before you can start planning, it’s essential to fully understand the purpose of the event. Is the goal to attract new clients or to encourage mingling among other departments in your company? Whatever the reason is, you can’t properly plan the venue or guest list until you first know what you’re trying to achieve. Of course, you’re going to need a suitable location for your networking event – one that will have all the facilities you need and fit the number of guests you plan to invite. And to find a venue that will impress, we recommend booking as early as possible since many places fill up months in advance, especially around the holidays. If you’re not familiar with any local venues, try asking your colleagues and friends to see if they can recommend any. Once you’ve found a few places that fit the bill, you should visit them in person and evaluate all of their services before you make a decision. Don’t make the mistake of assuming that the only thing you need for a smooth networking event is an appealing space with free drinks. 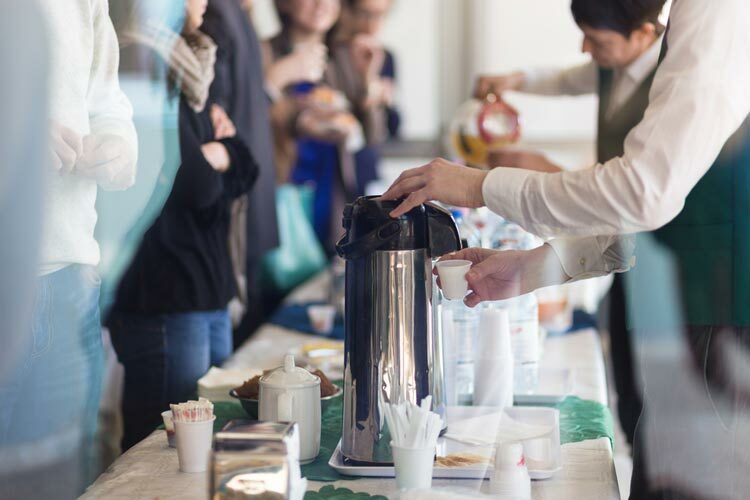 Every networking event requires a main attraction to entice guests. If you’re looking to interest clients or donors, try hiring an industry expert to come in and speak on a trending topic. And if your business is trying to encourage cross-department collaboration, then round tables and workshops are an excellent way for colleagues to interact and get to know each other better. Part of the planning will also involve lining up any speakers, hiring vendors, and renting equipment you need to run your event. If you leave this to the last minute, you’ll regret it, especially if your first choice of speakers is already booked up or you forget to arrange the sound equipment. So spend some time ironing out the details and getting the resources arranged weeks before you start marketing your event. The most important part of any networking event is getting the news out there. And one way to get the most coverage is to spread the word on your company’s social media accounts and newsletters. Just don’t forget to email personal invites to those you have in your network and reach out to local media and marketing companies to help reach everyone else in the industry that you’d love to invite. Food and drink can make or break your event, so you never want to get this wrong. Hiring a reputable catering company who has experience in this field, is well worth the money. They’ll help you put together the perfect menu, make sure the amounts are precise and can help you when an unexpected number of people show up, or you have special requests for dietary purposes. When you need a catering company that can wow all of your guests, Centurion Conference & Event Center can deliver. Our mission is to help you plan a smooth networking event by providing you and your guests with the highest quality service and food. We can come to you, or you can come to us — we can service up to 800 people at our award-winning venue. Contact us today to get started.